The trial of Dr. Ossian Sweet along with ten family members and friends for murder after a mob attacked his Detroit home caught the nation’s attention in 1925-1926. This trial and a re-trial of Ossian Sweet’s younger brother Henry exposed racial tensions in northern cities in the years following the Great Migration. Born in Bartow, Florida in 1895, Ossian Sweet and his siblings grew up within the segregated culture of Jim Crow. Sweet left the South to escape racial proscription, earning a medical degree at Howard University and setting up practice in Detroit in 1924. Although African Americans faced de facto segregation in northern cities, Ossian Sweet represented the “new” black middle class of the early 20th century, a professional and entrepreneurial class based within expanding black urban communities. The success of Sweet’s medical practice allowed the doctor to purchase a new home for his wife Gladys and his young daughter. Although home ownership marked respectability for most Americans in the early 20th century, homes in the 1920s were also racially restrictive, either by custom or by codes within real estate deeds. 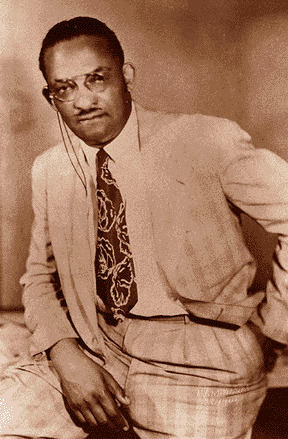 Aware of ongoing tensions over race but insistent upon his rights to home ownership, Ossian Sweet moved into a new home on Garland Avenue, an all white neighborhood, in September 1925. He brought his brothers Otis and Henry and several friends for protection. When a mob began throwing rocks at the home, someone fired out of a second floor window, killing one mob member and wounding another. The National Association for the Advancement of Colored People (NAACP) hired Clarence Darrow and a team of lawyers to defend the Sweets, insisting that the case revolved around a man’s right to defend his home. In a case heard by an all-white jury, Detroit prosecutors argued that the shots fired were reckless and that Sweet’s move to the “white” suburbs violated social norms. The first jury proved unable to reach a verdict and a second trial of Henry Sweet, Ossian’s youngest brother, resulted in an acquittal. The NAACP celebrated the case as an example of progress and urban racial liberalism. In the midst of a decade noted for hardening racial attitudes, the Sweet cases were a significant public relations victory for the NAACP. Yet racial tensions remained so heated in Detroit that Ossian Sweet and his family never lived in the home he purchased, and Sweet’s wife and daughter died shortly after the trial. Sweet himself later committed suicide after several decades of frustration. Additionally, restrictive covenants written into real estate deeds continued to prevent African Americans and other minorities from moving into suburban developments until the Supreme Court outlawed such covenants in the Shelley v. Kraemer decision in 1947. Kevin Boyle, Arc of Justice: A Saga of Race, Civil Rights, and Murder in the Jazz Age (New York: Henry Holt and Company, 2004); Richard Walter Thomas, Life for Us Is What We Make It: Building Black Community in Detroit, 1915-1945 (Bloomington: Indiana University Press, 1992); Kenneth G. Weinberg, A Man's Home, a Man's Castle (New York: McCall Pub. Co., 1971); and Victoria Wolcott, Remaking Respectability: African American Women in Interwar Detroit (Chapel Hill: The University of North Carolina Press, 2001).